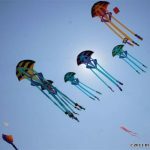 Often referred to as “show kites” or “big show kites”, the ram-air inflatable single-line kite is one of the few modern inventions in the world of kite design. 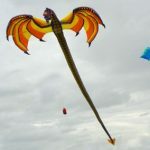 Although Francis Rogallo‘s early kite patents had ram-air members in the claims, Domina Jalbert‘s parafoil ram-air wing, patented in 1944, emphatically changed the kite airscape for inflatable kites. 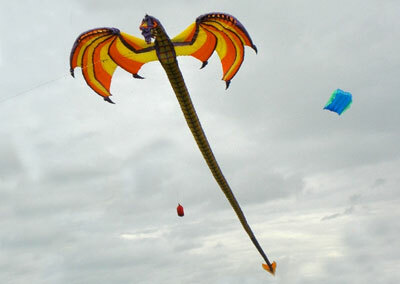 Kites sometimes combine ram-air inflation as well as closed-bladder inflation. 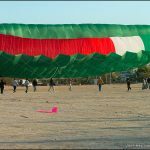 The shape is loosely derived from an airfoil with air inlets usually at the front, and a bridle which distributes the tether line loads evenly across the whole base of the kite. 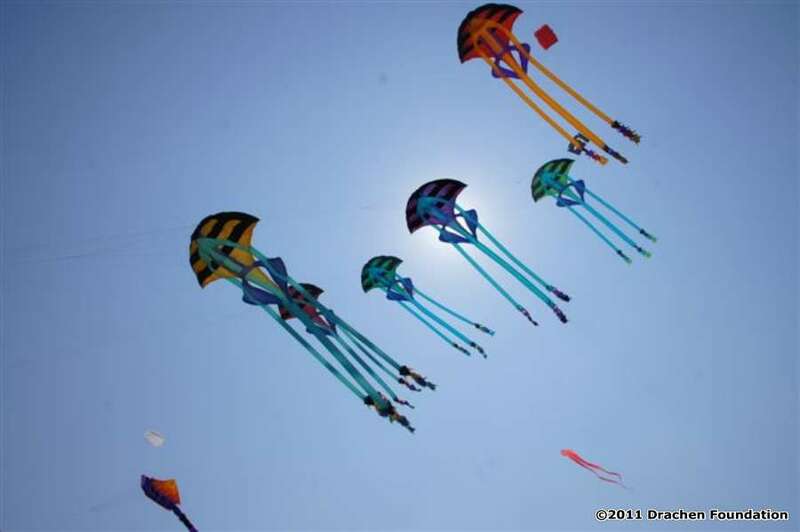 These kites have no rigid spars. 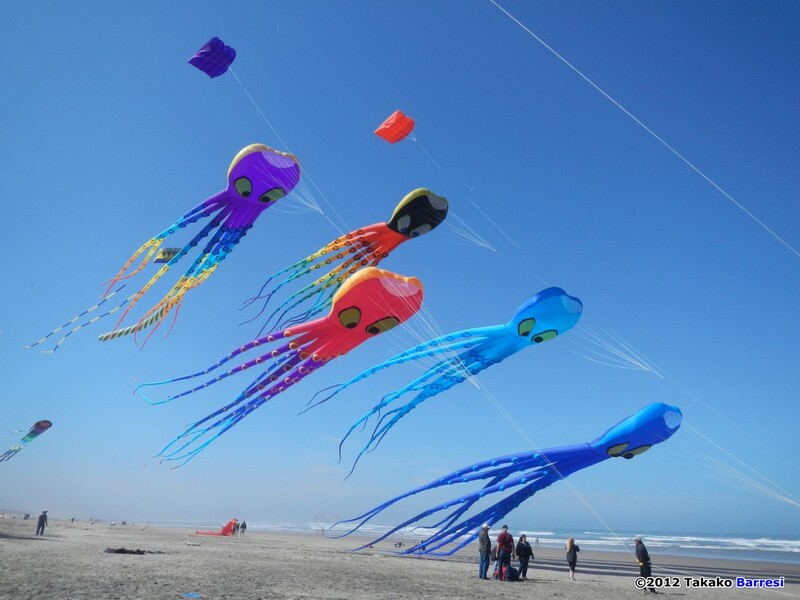 The immense strength of synthetic fabrics allows the creation of soft three-dimensional shapes which hold their shape because the pressure of the air inside the kite is slightly higher than the pressure outside. 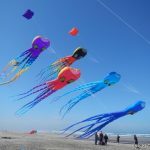 As with hot air balloons, artistic creativity is often applied, so that fish, cats, and many other animals and characters are depicted. 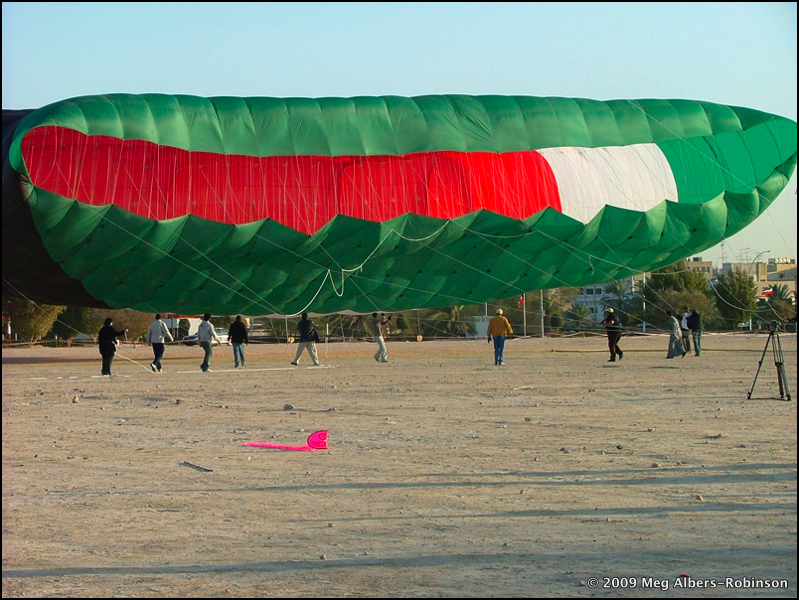 Sizes range from 2m in length to 65m. 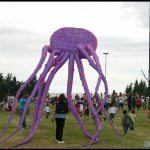 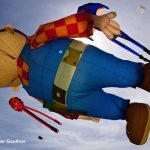 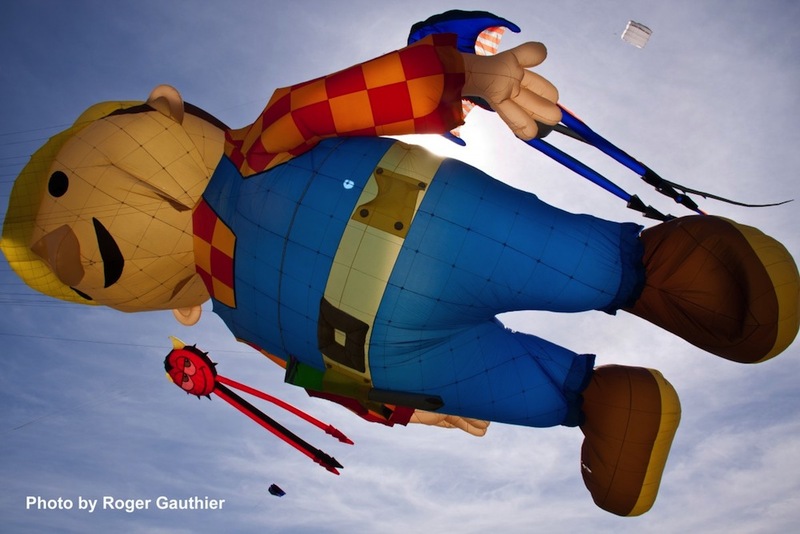 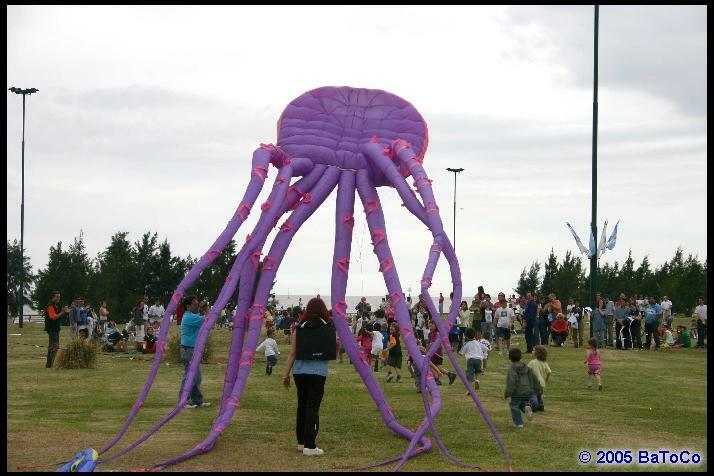 The world’s largest kites are inflatable single-line kites designed and made by New Zealand kitemaker Peter Lynn.